As with any industry, it’s very easy for us to speak in sector-specific jargon. However, there are times when others come to us not totally sure of what we’re talking about. If you have an upcoming printing project, it’s likely that some unfamiliar terms may pop up in conversation. To help guide the way for you, we’ve explained a few of the more common ones you might come across when discussing your printing requirements. We’ll start with an easy one: Stock is simply just another word to refer to the paper or card that your project will be printed on. Variations of stock related to the type of paper and thickness, like “Cover” for thicker outer covers and “Writing” commonly used for thinner writing paper. When referring to the thickness – or the weight – of certain paper types, it’s commonly measured in grams per square metre, or GSM. To give you an indication of these different weights, on the thin end you’ll find most newspapers printed on 55gsm paper, whilst business cards will typically be made using 400gsm. Because of the way fresh ink is applied to the stock, it’s virtually impossible to print a design to the exact size of the paper you need. To ensure that no little white lines are left around the edges, it’s standard to create a design slightly larger than the finished product. This extra space is known as bleed, allowing for the eventual print to be trimmed to size. The amount of detail in a printed image or graphic is measured in dots per inch, or DPI. The more individual dots printed in an inch, the more detailed a printed design will be. Many images on the internet are optimised for computer screens at 72 DPI. 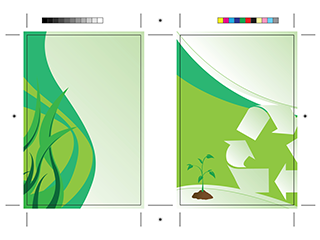 However, when it comes to print, ideally designs will be produced to a quality of 300 DPI for the best quality in detail. Lithography is quite simply the main process of printing used throughout the industry. Using lithographic machines, metal plates press against the paper to apply ink and water to produce the intended design. This type of process is most suitable for for printing in large quantities, making it the preferred method for the commercial industry. Creating a full colour image in print involves layering four colours on top of each other. This means that any design can be printed using combinations of cyan, magenta, yellow and black; more commonly represented as the initials CMYK. 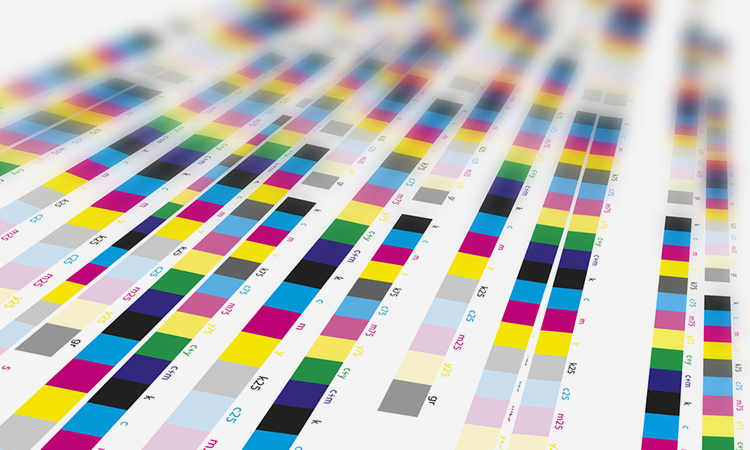 These colours are most suitable for printing – whether on your home desktop printer or on a lithographic machine – whereas computer screens and monitor will output colours in RGB (red, green and blue).